Who says men never grow up? 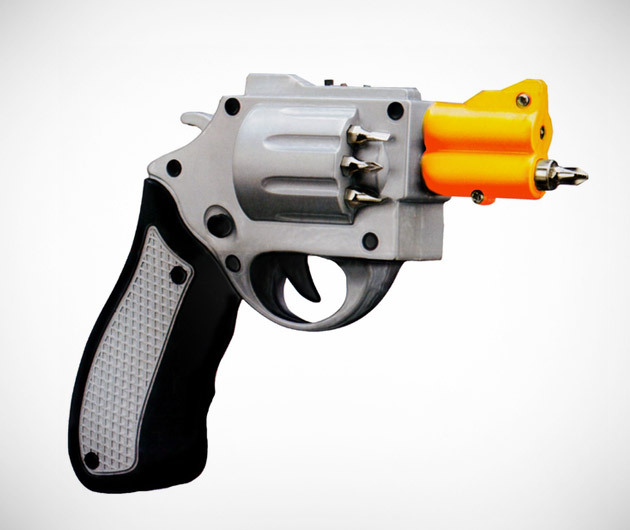 Well, they're right and we are absolutely loving this Drill Gun at GearCulture because when no-one's watching, these tools are revolvers anyway. 3.6V and a fully rechargeable lithium battery, looks so real, you could probably hold up a bank with it. But don't try though, seriously.